PITTSBURGH – A resident of Parker, Pa., has been sentenced in federal court to two years probation, which includes three months home detention, and a $500 fine on her conviction of theft of mail by a Postal employee, United States Attorney David J. Hickton announced today. United States District Judge Nora Barry Fischer imposed the sentence on Pamela D. Vogt, 44. According to information presented to the court, on or about Feb. 6, 2014, Vogt, while working as a U.S. Postal Service employee, removed a $20 bill from a greeting card contained in an envelope which was addressed and intended for delivery by the U.S. Postal Service. Assistant United States Attorney Margaret E. Picking prosecuted this case on behalf of the government. U.S. Attorney Hickton commended the U.S. 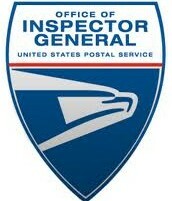 Postal Inspection Service-Office of Inspector General (USPIS) for the investigation leading to the successful prosecution of Vogt.